How's this for a thriller: Bill Clinton is teaming up with one of the most successful authors in the world to write a novel. 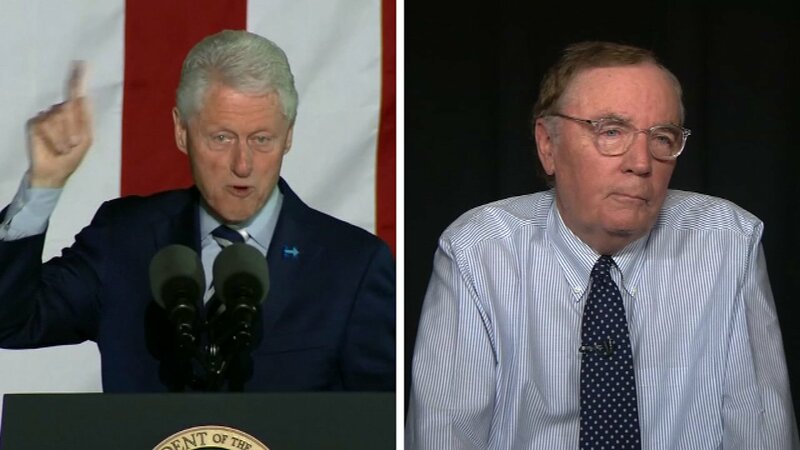 Publisher Little, Brown and Company tweeted the news Monday that the former president is collaborating with writer James Patterson on a new book. "The President Is Missing" will be published jointly by Alfred A. Knopf and Little, Brown and Company in June 2018, according to a press release from the companies. "Working on a book about a sitting President -- drawing on what I know about the job, life in the White House, and the way Washington works -- has been a lot of fun," Clinton said in a statement. "I'm a story-teller, and President Clinton's insight has allowed us to tell a really interesting one. It's a rare combination," read a quote from Patterson in the release. The pair reportedly forged a friendship while golfing more than a decade ago. Patterson topped a 2014 Nielsen Book Scan list of top-selling authors of the decade, ahead of "Harry Potter" author J.K. Rowling. Clinton is the author of several nonfiction works, including his 2004 biography "My Life." The former president is not the only one in his household to get the fictitious treatment. Writer Curtis Sittenfeld has reportedly secured a deal with Random House to do a fictional retelling of the life of Hillary Rodham Clinton. Sittenfeld is the author of the 2008 novel, American Wife, which was a fictionalized version of the life of former first lady Laura Bush.